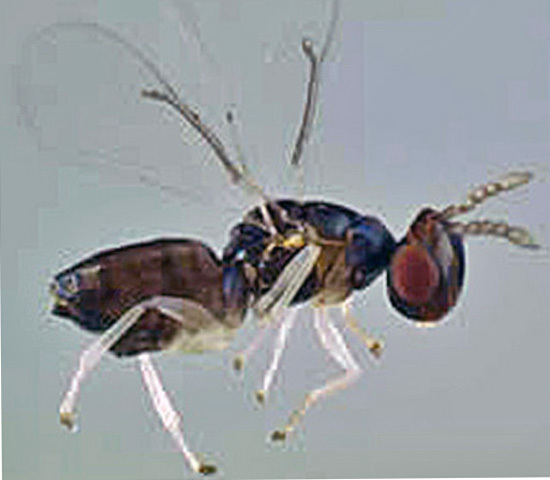 Eucalyptus gall wasp is a pest that has only recently been introduced to the UK. It is likely to have been brought into the country on imported plants and now as a result of our milder weather is managing to survive, particularly in the south of the country. 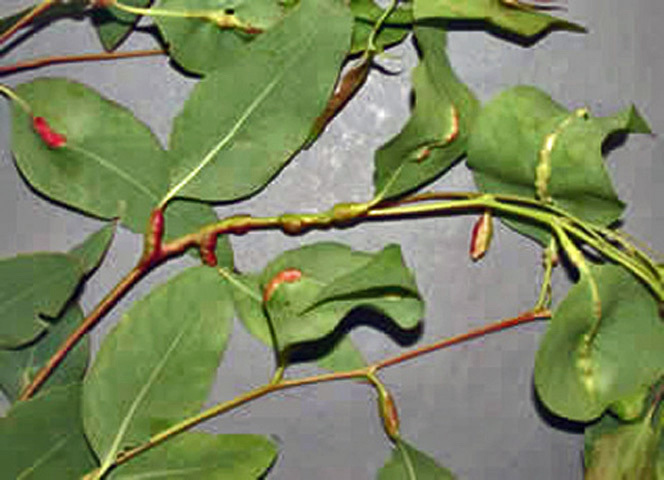 The symptoms of its presence are the slightly raised swellings on either side of eucalyptus leaves. These 1mm diameter pinkish-brown galls can be mistaken for an oedema if it were not for the tiny grub it contains. The galls are most noticeable in early spring when infestations can cause heavy leaf fall. The black adult wasps emerge in late May to June and the females lay eggs on new eucalyptus foliage. The larvae mature in the galls on the foliage and appear the following spring. Control can be difficult particularly on tall trees due the affected leaves being inaccessible. Collecting and disposing of fallen leaves in autumn should give some control. Smaller trees can be sprayed with a suitable systemic insecticide.